There are many Bee Pollen benefits if we take the time to notice them and if you are looking for “good health” than no better place to start. Bee Pollen contains a wide spectrum of nutrients to help maintain good health. These include all the vitamins of the B complex and vitamin C. Since these nutrients found in the Bee pollen are water soluble, they can be taken daily, but that’s not all that I found out. Bee pollen also contains the vitamins D, E, K and A (Beta Carotene) plus numerous minerals, enzymes, and coenzymes, wonderful plant source fatty acids, good carbohydrates, proteins and 22 amino acids that the body-beautiful cannot manufacture for itself. People everywhere talk of the weather, politics and their fatigue. It seems like there is an epidemic of fatigue. Looking for a solution to fatigue brought me to the energetic little bee. Bee Pollen is the fertilising dust of flowers. Bees gather and bring it back to their hives. Without pollen; plants, trees, and flowers could not exist. Even we depend on the fertilising pollen for our food production needs. Research has shown that one of the many bee pollen benefits is that it is considered one of the most complete foods available to man and also may be an energy booster. No wonder the bee has plenty of buzz and go energy! Bee Pollen also contains lecithin which exists naturally in all cells and aids in the metabolism of fats so making it useful if you’re trying to lose weight. The nutrients in bee pollen are readily digestible and therefore easily digested and absorbed by the body. As I said earlier, there are many bee pollen benefits and some people have traditionally used bee pollen to help maintain healthy circulatory, digestive, immune and nervous systems. When “hunting and gathering” a quality bee pollen, look for a high quality freeze-dried product that is guaranteed to have come from a pristine environment that is definitely free of pollutants. This is to ensure that you can maximise on all bee pollen benefits. 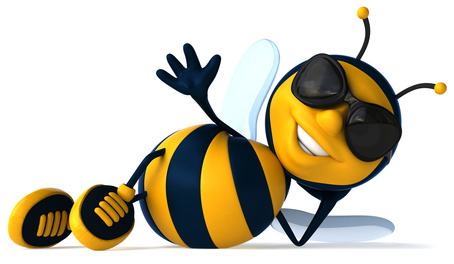 Most recommendations indicate building up to a use of 500 – 700 mg of bee pollen to be taken 3 times a day. When we think of bees, their honey and pollen are well known and come quickly to mind yet another important substance called ‘bee propolis’ is a treasure in itself. Like the many bee pollen benefits, bee propolis has numerous benefits as well. Bee propolis is the sticky resin secreted by trees. Honeybees collect it and metabolise the propolis, then line their hives with it to protect the hive. Many people have suggested in fact that it’s so effective in its sterilising action that the interior of the beehive would be safer than most operating rooms. The name ‘propolis’ comes from the Greek word meaning ‘before the city’ to show that it was used to defend the entire city community from external threat. Bee propolis has a recorded 5000 year history. The Assyrians and the ancient Greeks recorded their use of bee propolis to help clear disease and maintain good health. It has also historically been further strengthened with the bees’ royal jelly that the bees make to feed their queen bee. 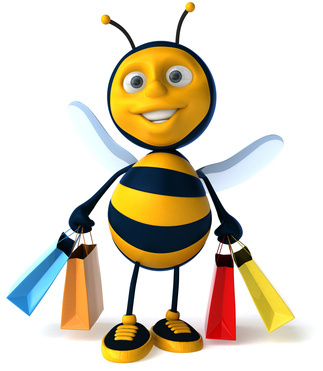 The queen bee needs super strength and energy to be able to produce lots of baby bees. The queen bee is a baby bee production-machine. Connecting to some of that strength and energy was my intention when I started taking these bee products. I am always conscientious to source my products from pristine, pollution-free environments. So whilst checking that out I found that there are people who are especially trained bee propolis collectors. In some places only the men can eat the bee propolis as their traditional way to keep strong for their hunting lifestyle. Well, this is one woman – me – that takes it too. It is an excellent way to help the body’s defences. I also found it cleared up my sinus condition. The recommended use of bee propolis is also 500mg to be taken twice a day. My recommendation is to take it at 7am with breakfast and then after lunch. The first time I took bee propolis the hours I used it were 7am and 7pm. That was too late as the energy buzz kept me fresh as a daisy till 2am! The bees need lots of energy as they travel from flower to flower to hive, removing the rich nectar, storing it and mixing it with their enzymes and then putting the honey to their happy hives. What a production line! Organised, energised and naturally healthy. That’s the pure health solution to energy food that appears now to have boosted my energy, organisation and brain output. I do, of course, additionally add a good quality Omega 3 and pure Aloe Juice to my daily routine.